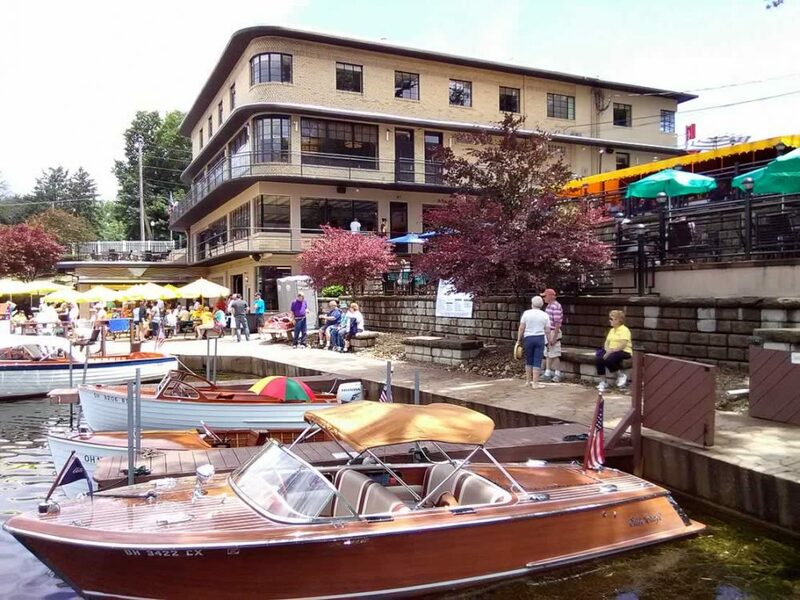 On Saturday, June 23rd, the annual Portage Lakes Boat Show took place on the docks of two restaurants; The Harbor Front Grille and Picks PLX for the 43rd time. As the popularity of the show grew, more and more boats from around the region attended. 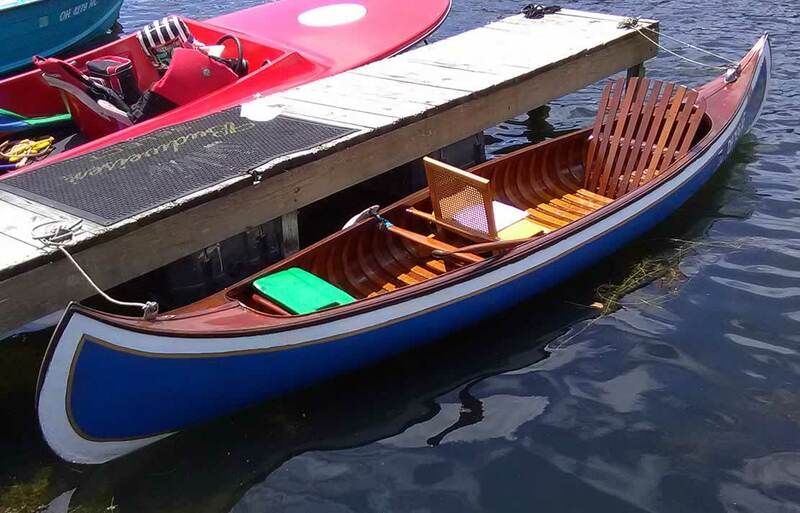 Eventually the Historical Society asked the local chapter of the Antique & Classic Boat Society (ACBS) to help with the organization, publicity, show management and judging. The chapter, North Coast Ohio ACBS, has been managing the show ever since. The show is now co-sponsored by the North Coast Ohio Chapter of ACBS and the Portage Lakes Historical Society. Now the show attracts boats and owners from surrounding states and fills the docks of the two restaurants, has many land displays and a “field of dreams” lot with boats for sale. This year was no exception. There were 44 boats of all types there from; Ohio, Pennsylvania, New York and Kentucky. 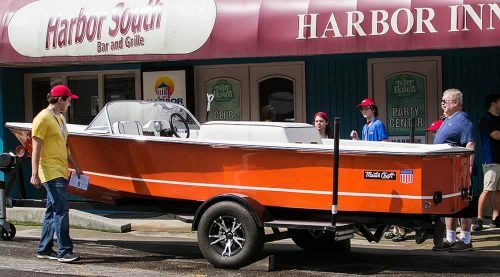 A 1959 Chris Craft Ski Boat from the 50’s was on display brought by Bud and Ginger Long. “First Date” has a great story behind it and is a great example of a boat from that era. While many boats were used for towing skiers, some were built specifically for that purpose. 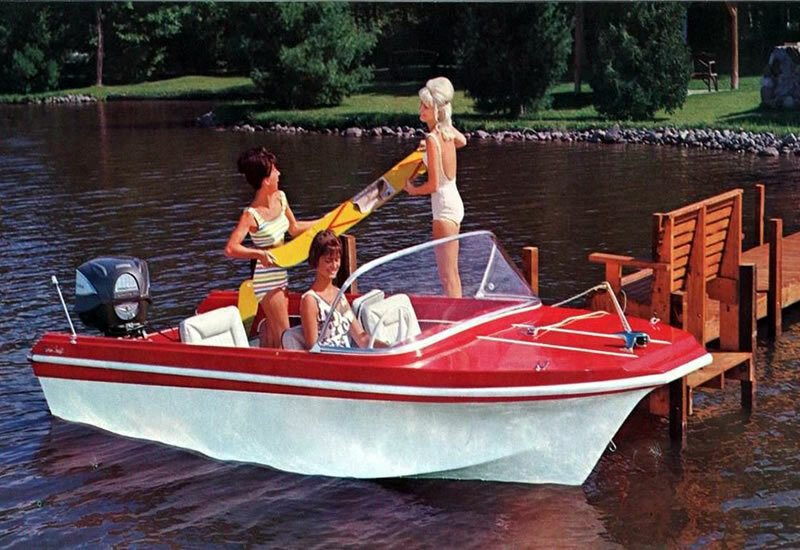 Like this 1968 Mastercraft. 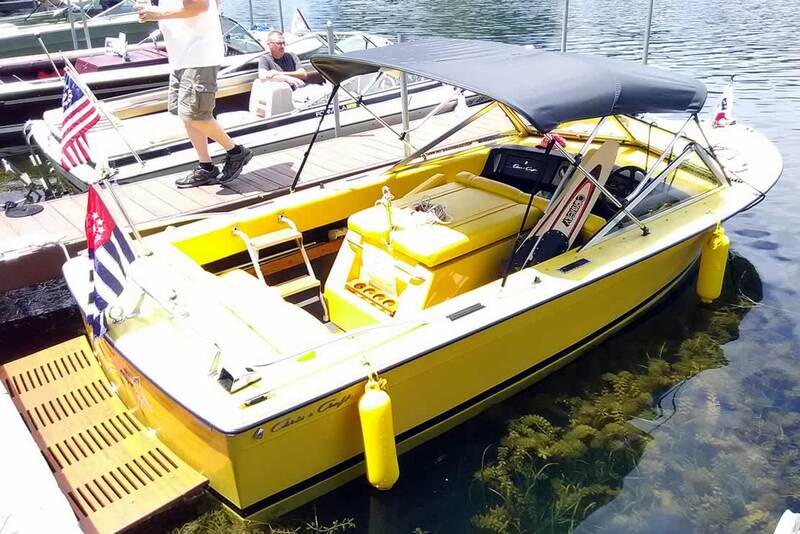 The boat was brought to the show by Mastercraft chief engineer, Donnie Brown and is aptly named “Number1” and is the company’s first boat made to enter the water ski craze. Brown also brought Mastercraft’s newest ski boat designed for skiing and “wake boarding”. This beautiful craft sports all electronic controls and has a price tag of over $180,000. Jerry Welch anchored the show with the oldest boat, a 1913 B.N. Morris canoe. There were many mahogany Chris Crafts and Century’s for enthusiasts who like the appearance of varnish, home built boats like Keith Riedel’s “My Passion”, a 22.5-foot torpedo stern inboard. Some folks brought their Lyman Boats, manufactured in Sandusky, Ohio. 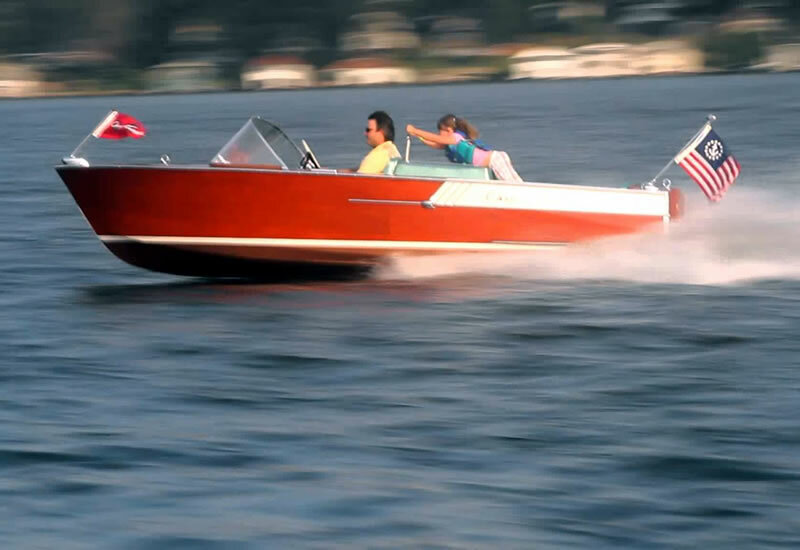 Others displayed outboard boats such as Jeff and Karen Scott from Doylestown, Ohio with their 1959 Yellow Jacket Riviera, “Beverly J”, a line of boats made famous by their advertising spokesman, Roy Rogers. 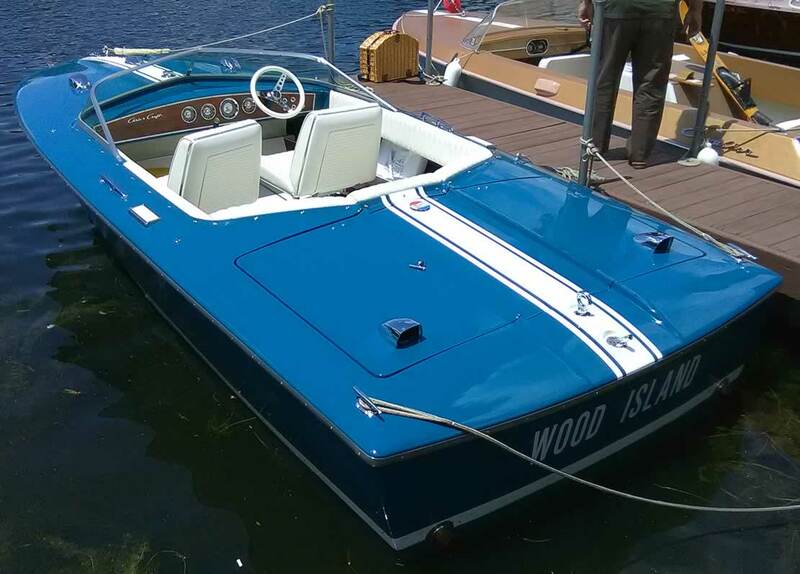 Growing in popularity at boat shows are the fiberglass classic boats. 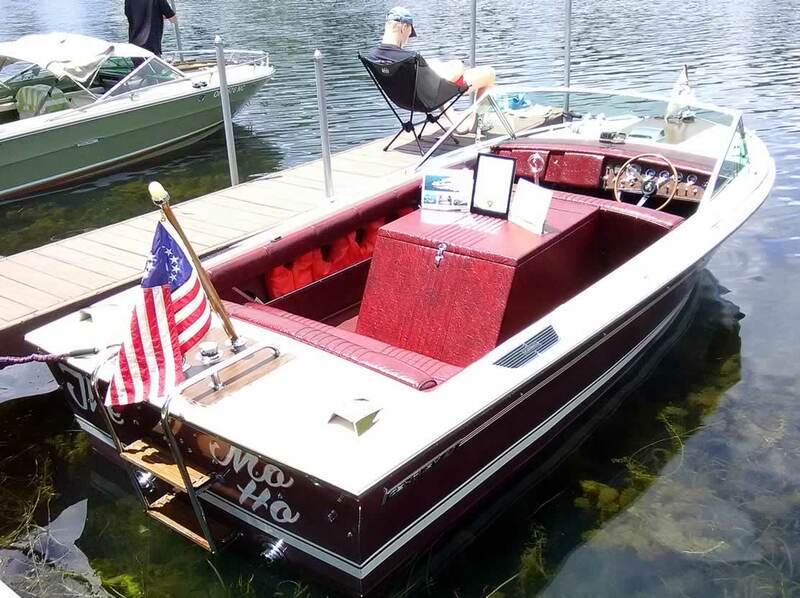 Several were in attendance on Saturday like Aaron and Ben LeDonne’s 1969 Chris Craft Commander SS, “Wood Island”, from Pittsburg. 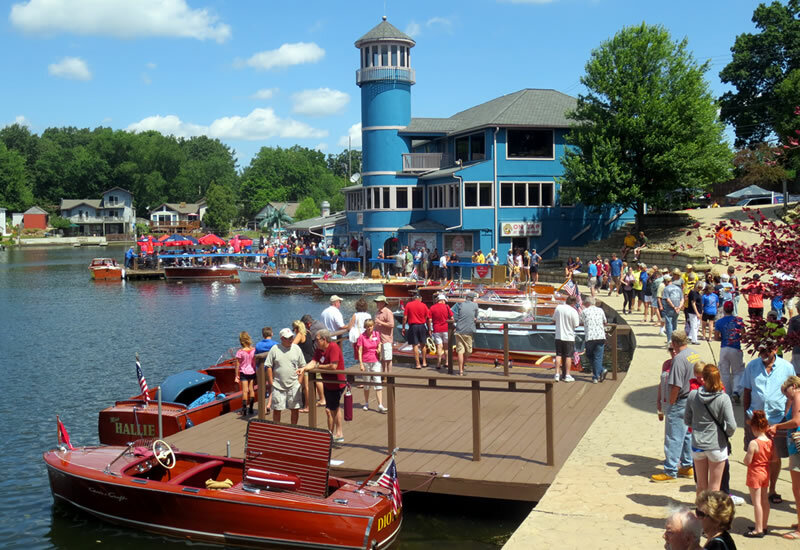 Saturday June 23 – Plan to attend the Portage Lakes 43rd Annual Antique & Classic Boat Show. 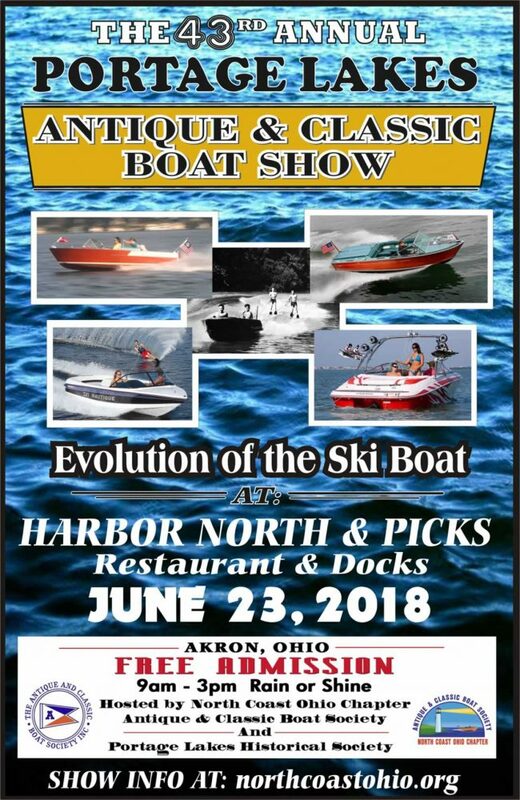 This FREE event will be held from 9:00a to 3:00p at the docks, lakeside, at the Harbor Front Grille and Pick’s on PLX Restaurant on Portage Lakes Drive in Coventry, Ohio, just five miles south of downtown Akron. There will be over 50 beautiful wood and vintage fiberglass boats, both in the water and on land which display the elegance and craftsmanship of America’s skilled boat manufacturers. 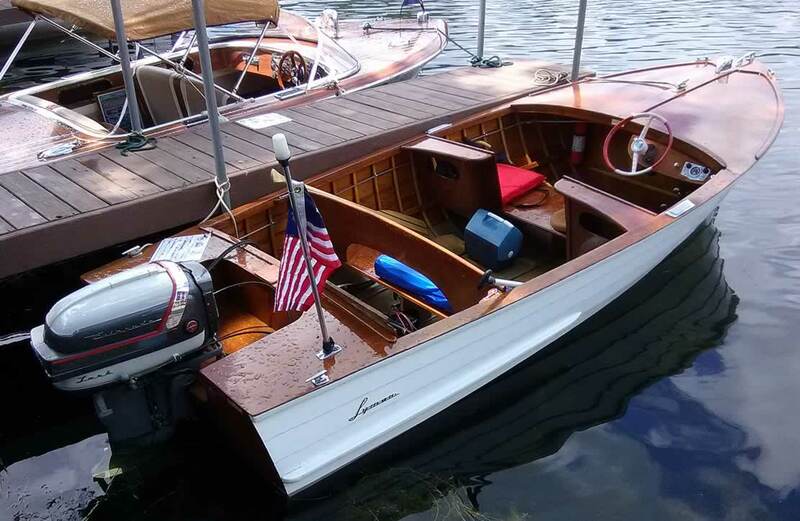 Interested in purchasing a classic boat of your own? There will also be a Field of Dreams Sale Lot” with boats for sale on display, so bring your checkbook. 2018 SPECIAL THEME: THE “EVOLUTION OF THE SKI BOAT”. 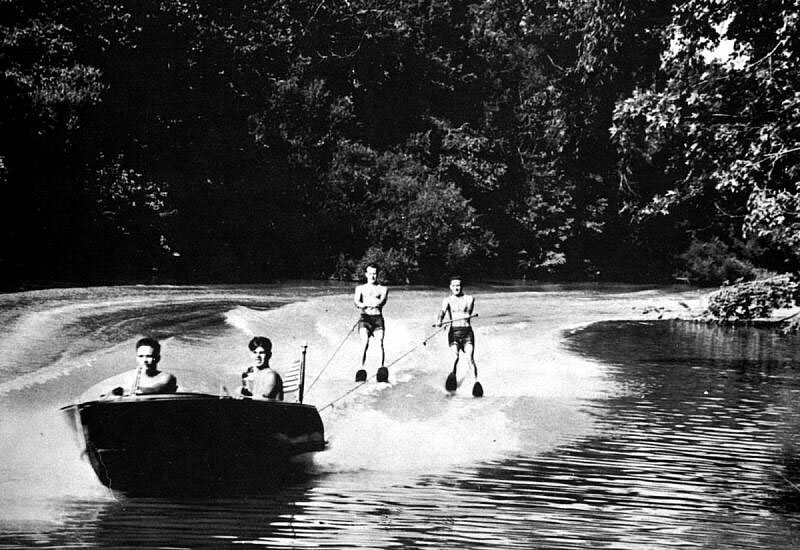 For many years, Portage Lakes was the home of several organized Water Ski Clubs. Some of them participating in competition locally and on a national basis. Of course, recreational skiing was very popular at the “lakes” for many years and this year we will celebrate the sport with a special display of Ski Boats. Many wood and fiberglass models from all eras, from the 40’s to the 90’s, and on display will be some of the latest high-tech wave making beauties worth well over $100,000. So, there will be boats to view for all ages. There will also be “youth judging” by a group of area youngsters with a special award presented by their group. The Antique and Classic Boat Society (ACBS), an international organization devoted to the preservation and recognition of all types of personal watercraft with 54 chapters throughout North America and Europe. 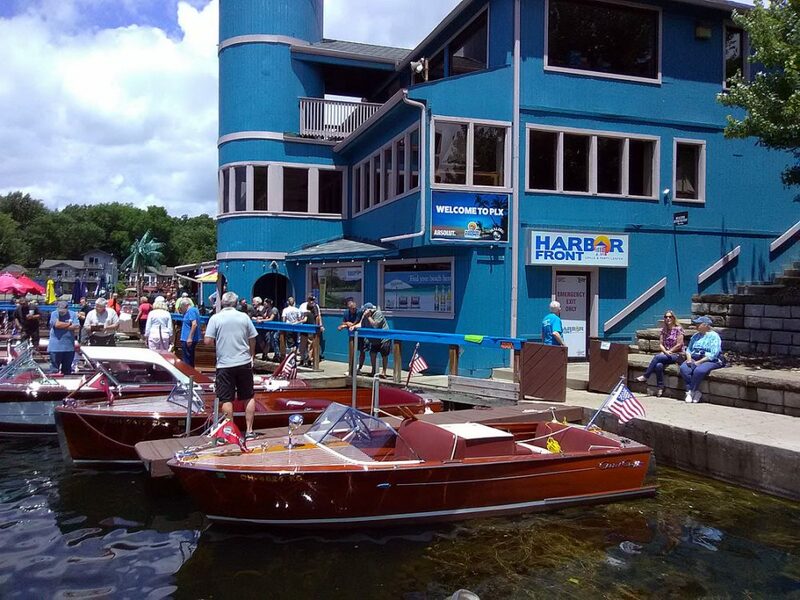 The North Coast Ohio Chapter of ACBS with over 130 members is very active in restoring, showing, and using their unique boats. Many of these members will have their own boats on display at this show. WHEN IS THE CLASSIC BOAT SHOW? FREE Admission ~ Rain or Shine!